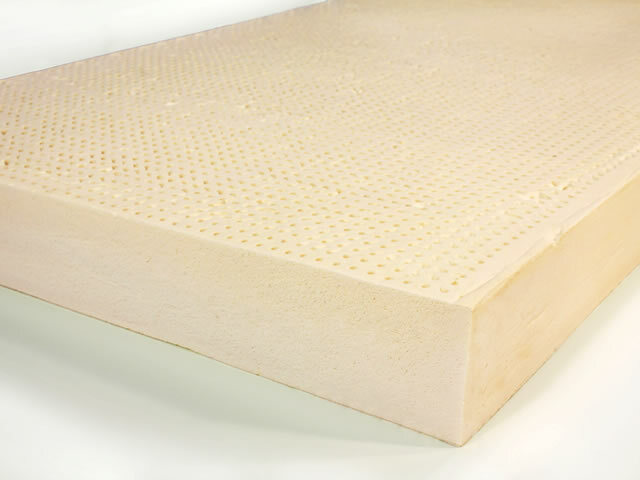 Open-cell polyurethane foam receives much-deserved praise for its uses in the comfort and support industry, visco-elastic memory foam included. Bedding is one of the primary applications for these materials, and people switch every day from traditional mattresses to the unique support and comfort that foam mattresses, toppers, and foam pillows can provide. Comfort is where most of the fanfare for these products is directed, as it should be. The ability of foam and memory foam to offer a comfortable night’s sleep should fuel any bedding purchase decision, since restful sleep is the goal of any sleeping setup. But in addition to the main needs foam bedding satisfies, there are many other benefits that foam offers to an individual besides the bare minimum required to fall asleep. One unique trait of these materials is the near-elimination of the transfer of motion through the bedding product, something present in every foam mattress and mattress topper sold from The Foam Factory. As mentioned, the primary reason you should be selecting one mattress over another is that it provides the comfort and support your body requires to achieve deep, restful sleep. If you sleep alone, this is the end-all, be-all for your requirements in a mattress, greatly simplifying your search. But if you and a partner share a bed, have children, or even have pets that jump in and out of bed with you, the transfer of movement energy is something that may affect your sleep and should be taken into consideration. Foam bedding is excellent at absorbing motion attempting to pass through its structure. 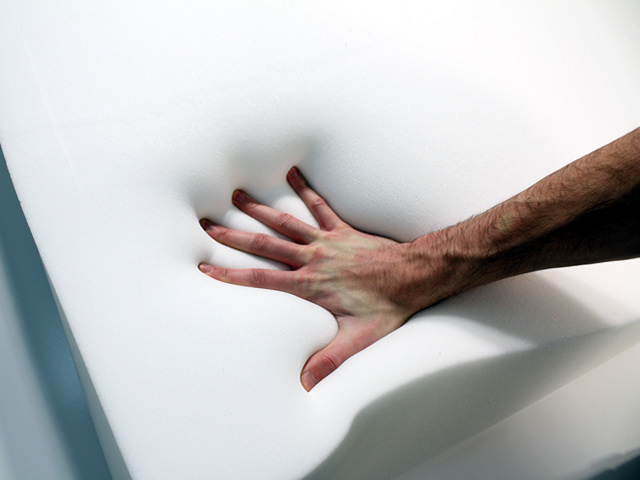 The structure of a foam topper or mattress features billions and billions of cells in its structure, each one individually working to absorb motion energy. An individual foam cell, when exposed to pressure or normal use, will bend, stretch, and flex to handle that pressure as best it can. When its compression point is finally reached, the next cell attempts to bear as much of the load as it possibly can and so on. With one cell after another in the structure of a foam mattress, each one functions as a miniscule shock absorber. The density and size of these cells mean that even if motion is passed through thousands of these cells at once, that energy still isn’t reaching far beyond the person who generated it. For perspective on the amount of absorption these incredibly small cells provide, imagine the structure of an innerspring mattress applied to a surface area the size of Pennsylvania. If somebody jumped on the coils of this mega-mattress in Pittsburgh on the west side, a person resting on the springs in Philadelphia on the east side wouldn’t feel it, with the massive number of energy absorbing coils between the two. That’s how the billions of foam cells in a single foam mattress work, while when condensed to mattress size, innerspring coils are far less numerous. With the struts that make up the walls and structure of each cell of foam absorbing as much energy as possible every time they are impacted, foam retains its softness and flexibility while quickly dissipating energy. The tinier and closer the cells are in a section of foam, the better its energy absorbing ability, by offering more performance in the same amount of space as a foam mattress with larger cells. The benefits of having a mattress that reduces motion are many. You may have a partner who gets up much earlier than you do, or maybe you go to bed first and don’t want to be woken up. Perhaps you toss and turn and don’t want to wake your partner every time you situate yourself. If you have younger children, you’ve probably dealt with them crawling in and out of bed with you. You may even have a large pet that sleeps with you who takes up much more space than they think they do. Even if you sleep alone, you don’t want a mattress that jiggles and bounces once you’ve gotten into a comfortable position. A motion-reducing foam bed provides stability, an important factor in comfort for many people. The density of the movement-absorbing cells provide your body with consistent support that doesn’t diminish during the night. This effect is even greater in memory foam mattresses and memory foam toppers, as the formulation of this temperature-sensitive material offers additional elasticity to form to your body and your movements. If movement transfer is an issue you’re concerned about in your next bed, consider the performance that foam and memory foam offer, as one of the best materials for reducing the transfer of movement. The Foam Factory’s foam comfort product line touts these qualities, making them the right choice for your best night’s sleep.